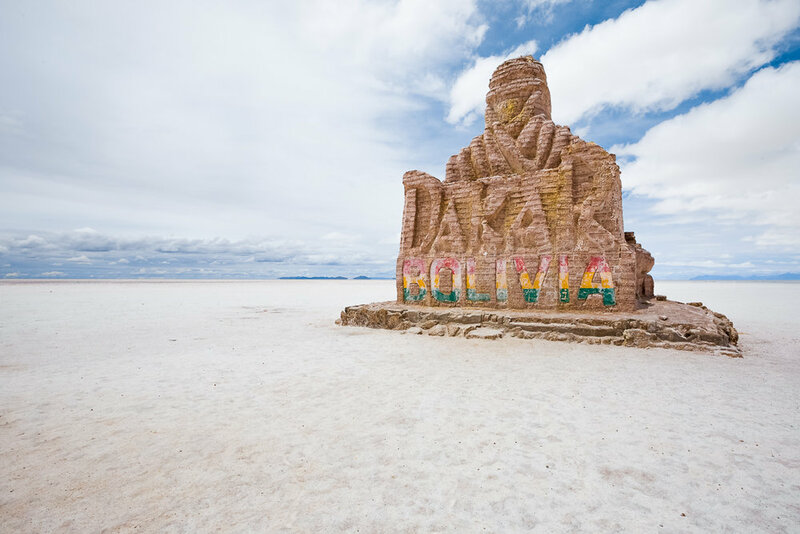 Uyuni is home to a haunting train cemetery and the world’s largest salt flats, Salar de Uyuni. This expanse of white covers an area of over 10,000 square kilometres, making it an epic and unique landscape to explore and photograph. 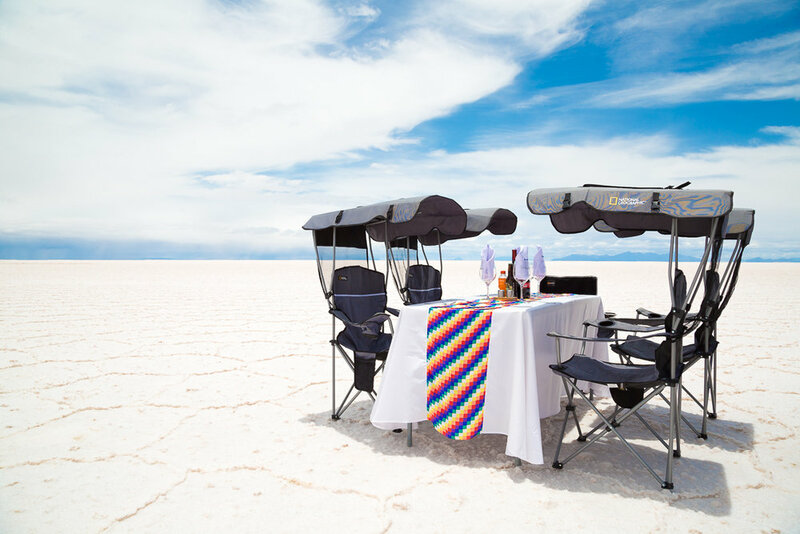 The tourism industry in Uyuni is flourishing, yet it remains relatively undiscovered and offers an unforgettable experience for travellers looking for something new and unique. We loved our expedition through this surreal location, but we wish we had known a few things our extensive research didn’t reveal - so read on to find our tips on visiting Uyuni! When planning your visit to Uyuni, take care with the time of year you choose to travel. December to March is considered the rainy season in Uyuni (although even at this time of year the flats receive less than five rainy days a month). This is the best time for reflection photographs, but there is a downside. Rain can turn the salty surface into a soft slush, so be aware that some parts of the flats like Incahuasi Island may become inaccessible after heavy rain. Temperatures on the salt flats can range widely throughout the day, reaching around 20 degrees Celsius in the afternoon, but dropping to below zero overnight, so be sure to pack in layers and be prepared to photograph on chilly mornings. The most common way to visit this region is through a tour operator. Having a local who knows the area and the challenges of driving across the salt flats is invaluable and could save you from getting lost or even worse, stuck out on the white expanse. A wide range of companies are available depending on your time and budget, offering both single and multi-day tours of the salt flats and the surrounding region. Tip! As a photographer, you will find that group tours are highly time-constrained and inflexible in their itineraries. We recommend that you book a private tour. It is also worthwhile to note that, whilst the itineraries and experience remain widely similar, tour operators based in Chile, Argentina, and Brazil will charge a (steep) premium compared to the local Bolivian operators. We recommend flying in from the Bolivian capital of La Paz after spending a couple of days there, so you can adjust to the altitude whilst in the city, which will help you make the most of the salt flats. Currently, there are only two flights per day arriving in Uyuni from La Paz, meaning you will most likely be arriving at the same time as every other group visiting the flats on any given day. However, there is plenty of space to spread out and head in separate directions, so within half an hour you can find yourself alone without another living soul in sight. You may also want to change your itinerary slightly (for example, visiting Colchani Village after seeing the Salt Museum - more on this later) in order to avoid other tour groups. Sunset and night completely transform the flats, with the last rays of light flooding the flats in colour. If at all possible, being out on the salt flats at a time like this is an experience not to be missed. On clear nights, private tour operators can also take you back to the salt flats after dinner for an astrophotography session. Make sure you ask about this before you book, as it usually incurs an extra cost. Upon arriving at the salt flats from Colchani Village, this will be one of your first stops. The Museo de Sal was once a hotel, but it was shut down in 2006 due to potential environmental damage to the surrounding salt flats. It now houses a small collection of statues made entirely out of salt, and is home to the Banderas del Mundo (“flags of the world”) monument. Tip! Toilet breaks are few and far between out in the salt flats, and this may just be your only bathroom-equipped stop of the day, particularly if Incahuasi Island is inaccessible due to the rain. Make sure you stop here! While in Uyuni, also make time to visit the famous Uyuni Train Cemetery, where trains which were once used to transport minerals out to coastal ports have been left abandoned to rust since the local mining industry collapsed in the 1940’s. The shells of these trains are completely accessible for visitors to explore and climb through, which provides the perfect opportunity to incorporate some of these metal giants into your images. Note that most tour operators will expect you to spend approximately 30 minutes at the Train Cemetery, but it is huge and full of excellent photographic opportunities. We spent closer to 90 minutes between photography, videography, and flying the drone. Tip! If you are visiting the Train Cemetery in the morning, it is likely that your tour guide will take you there after dropping you off at the city of Uyuni for an hour, even though there is very little to do in the city itself. Request that you are dropped off and picked up at the cemetery instead, as this is only a 5-minute drive away, so you can spend as long as you like and arrive before other visitors. Uyuni serves as a gateway to the rest of Southwest Bolivia, which is filled with other incredible (but completely distinct) landscapes. From Uyuni, we travelled towards the Atacama Desert, stopping by breathtaking valleys, lagoons, geysers, and mountains along the way. We definitely recommend this itinerary, in particular making your way from Bolivia to Chile, rather than the other way around. The Hotel de Sal Luna Salada is a 4-star hotel with some of the best accommodation available in the area. Besides the great food and service, it is also made entirely out of salt, which makes for a truly unique experience. at least three fully-charged batteries, so you don’t have to worry about charging every evening, especially if you are staying at a hotel which does not provide electricity overnight. Are you planning a trip to Uyuni? What else would you like to know about this beautiful and once in a lifetime destination? Let us know if you have any further questions!